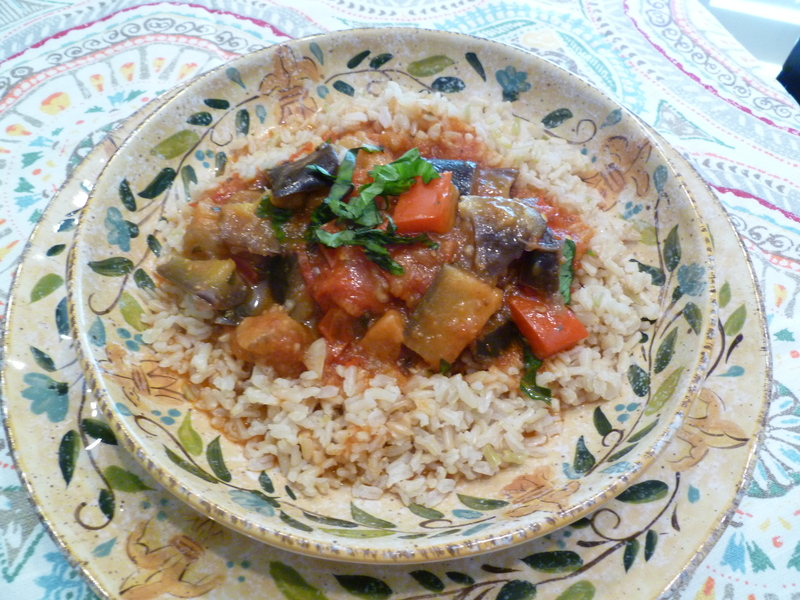 Ratatouille is originally a French dish from the Provence region. 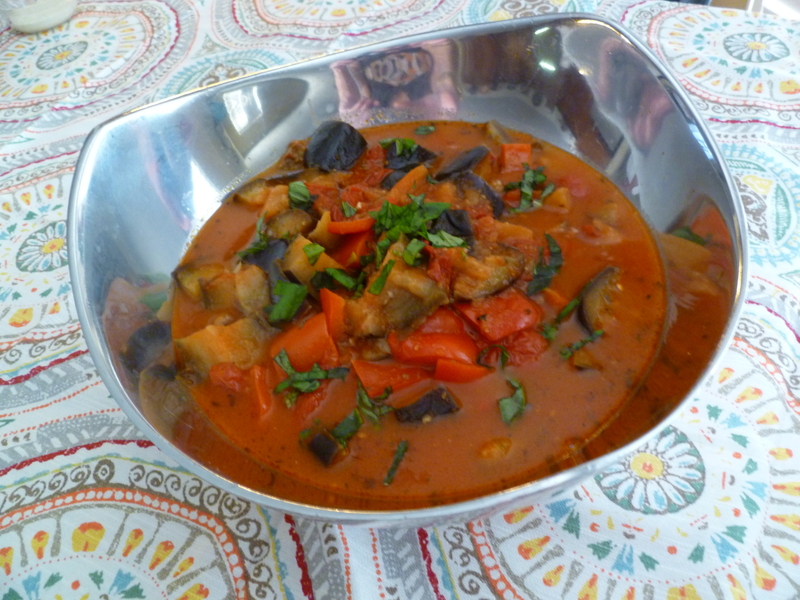 It is a versatile dish, you can eat it as a stew, a baked casserole or soup. It can also be used as a filling for crepes and omelets. It can be served as a side dish or main course. The Brazilian way is served as a main dish, stewed over rice. Simply delicious! Serves 4. “* If you can’t have onions or garlic, omit those and use 2 celery stalks finely sliced and a drizzle of truffle oil. Heat olive oil in a sauce pan, add onions, tomatoes and red peppers, salt and pepper and saute until onions are cooked and tomatoes bursting. Add garlic, egg-plant and zucchini. Then add vegetable broth or water, tomato paste and herbs. Cover and let it cook for 10 minutes or until egg-plant is soft. Let it stand covered for 5 minutes. Place it in a serving bowl. Sprinkle Asiago cheese, drizzle olive oil and garnish with fresh parsley or basil. Serve over your favorite steamed rice, white or whole wheat. It is also great over quinoa!